Hey everyone, Azog here! I’ll be introducing you my two additions to the project. These are my additions to the collab project. 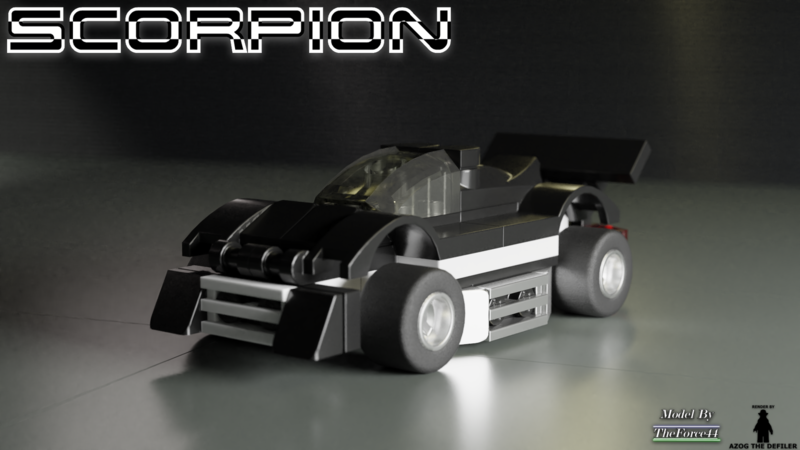 The first one is called Scorpion. It's more of a street/track racer with its low body and big shopping cart spoiler. 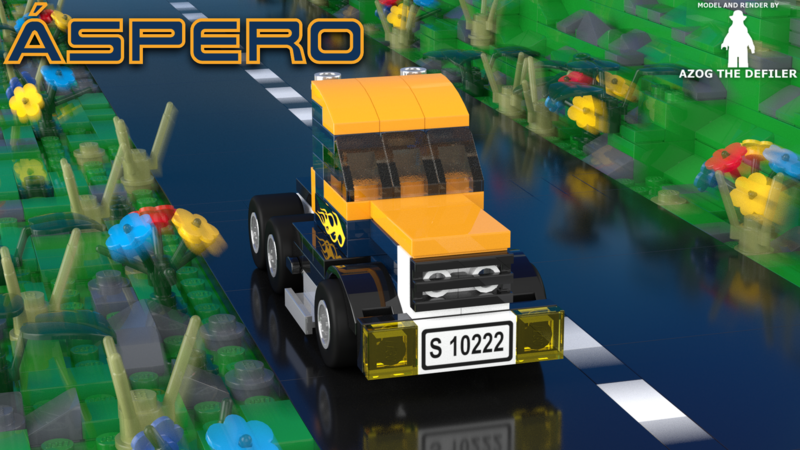 It looks pretty fast and maneuverable, and although it may not be too aerodynamic because of the front grill, I think with a powerful engine it would still be competitive in real life. The second one is called Wolverine. It doesn't look very fast or like it could do well off road, so it probably wouldn't excel in any category other than raw power. Its specialty I guess is pulling big things. It just looks old and tough. 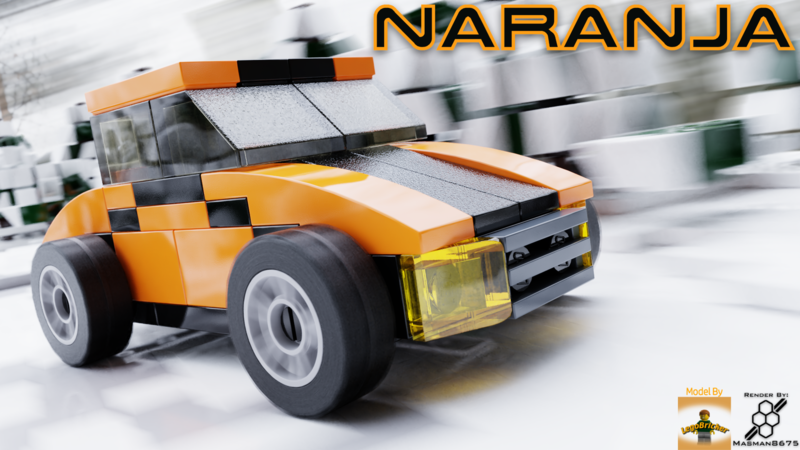 Naranja: The name being Spanish for ''orange'', this is my favorite personal favorite car of the two I built. It's has a more race-car like appearance with the low front end and slightly sloping hood to the bright orange color and black stripe through the middle of the car. You'll also notice it has no protruding fenders, similar to Indy cars. This car would be real fast, no doubt about it, if it was life sized! If I had to choose one word to describe this car, I'd choose ''quirky''. 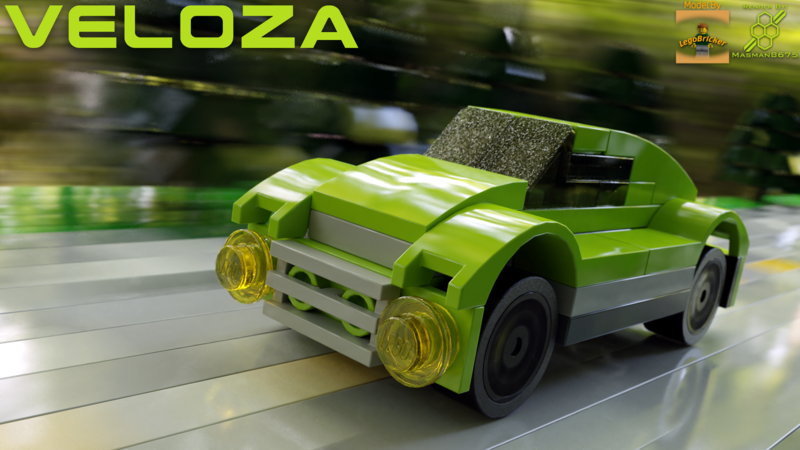 Veloza: Coming from the word velozes, which is Portuguese for ''fast'', this car looks more modern and aerodynamic than my Naranja. All angles of the car are sloping, and very visible fenders proclaim a sporty fun ride. One word that I think would suit this car, is funky. 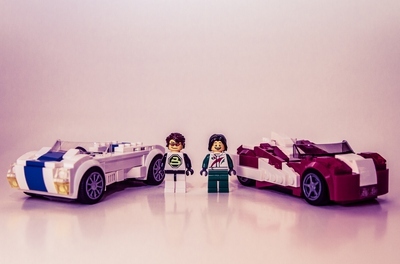 I never built LEGO cars from scratch before, and this was quite an experience. I was so amateur, I couldn't even figure out how to place the fenders around the tires! Thankfully, my other collaborators helped me with great patience and taught me basic techniques and instructions. I could never have built these without them. I want to thank them for their amazing help! And now it's back to me Masman, to tell you about my builds. 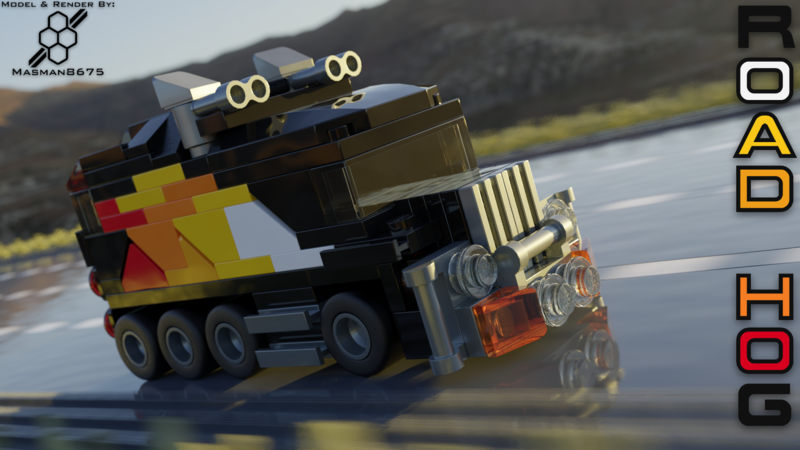 First up is Road Hog. A cross between a transport truck and a RV, this thing eats fuel like crazy, and due to the way the front of the vehicle looks, is so named Road Hog. Road Hog features a big moose bar on the front and is black with flame designs along the sides. The beast first started out when I was tinkering around, trying out a nice flame pattern along the side of a vehicle, and just went from there. Last but not least is Sráid. 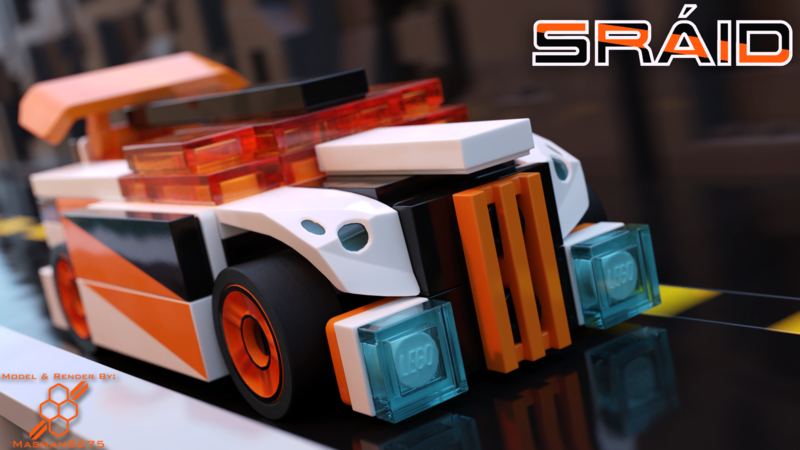 Irish for street, Sráid is a tuned Ute, sporting a bold white, black, and orange colour scheme. He includes underbody lights, a big spoiler, and flashy orange & black rims. Originally, Sráid wasn't even going to be in this project, and when I decided to make and use him in the project, he was in black & green. I later decided to change the colour scheme to something lighter, and I am very glad I did. 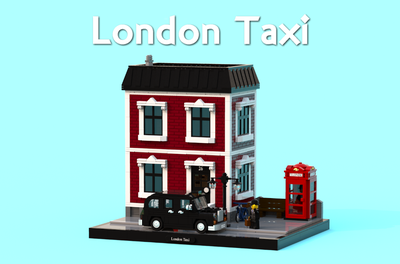 This project started out in March 2016, when Azog asked me if I'd like to be in a collaborative project with himself, Toolmanjr (who later had to drop out), The-force44, and possibly LegoBricker. 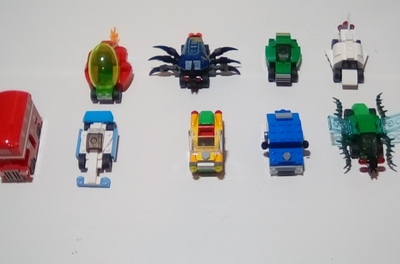 I started a forum for the project, and after going through several ideas, I suggested a Tiny Turbos project because Tiny Turbos was one of my favourite LEGO themes. 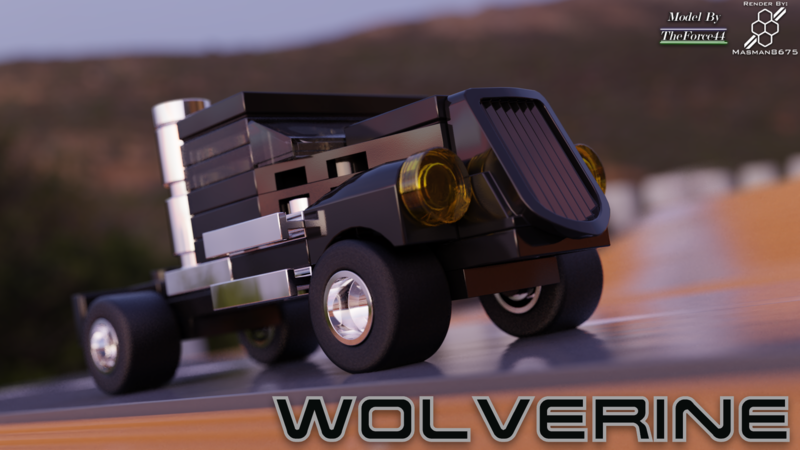 Once we agreed on Tiny Turbos, and that I would be the one submitting it, we built our cars and uploaded them publicly to Mecabricks.com so we could all see them, being as we couldn't all meet in person. 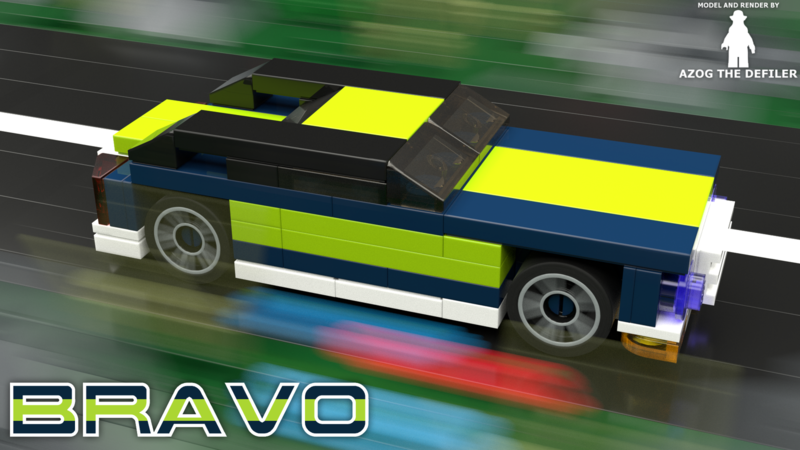 Then I rendered most of them, and we all kept tinkering around with our cars until we were happy with what we had. 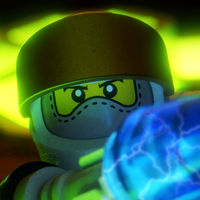 Finally, after a good amount of work, time, editing, and re-editing, we have the project you're seeing right now. 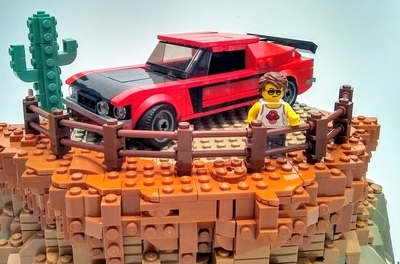 Maybe it'll become a set, which would be awesome, and even if it doesn't, I'm sure we'll all be really happy with how it turned out, what we learned, and what we accomplished along the way. If you're interested in seeing the forum where we planned it out, take a look here. Thanks for taking a look, if you feel we deserve it, hit that support button!